Experience the PureClean Difference™. Our friendly, certified healthy home specialists are here to provide a WOW experience today. Our deionized Ultra Pure Water™ is 13 times purer than tap water—it has no contaminants. Because we’ve removed the contaminents & minerals from the water, it can pick up more dirt from your carpet. Our fluid uses plant- and fruit-based cleaners that are hypoallergenic. 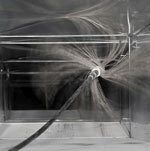 Our patented truck-mounted system produces more suction and heat than our competitors’ equipment. We extract more water from your carpet so it dries twice as fast: in hours, not days. Since we use chemical-free cleaner, there’s no soap residue left behind to attract dirt particles. Your carpets will stay clean for twice as long using our proprietary cleaning fluid. 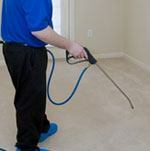 We have the best cleaning methods for your carpet, tile, hardwood, mattresses, upholstery and more. 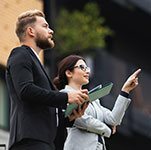 Real estate and property managers rely on PureClean for quality results. 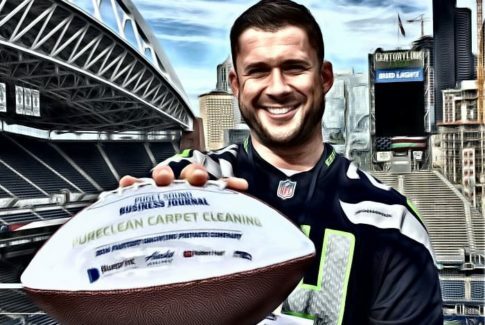 We’re Proud to be Washington’sHighest-rated Carpet Cleaning Company! Two very professional, very respectful and personable gentlemen came by and cleaned my bathroom tile floors. 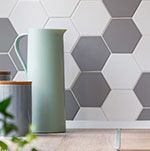 It was quick and painless, and my tile looks beautiful. They covered their footwear with booties and spread clean moving blankets over the floors where they would be walking and using equipment. We had some area rugs taken out for cleaning as well. 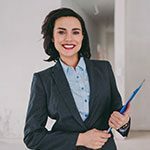 Mike was very knowledgeable about the services provided, and explained things in detail to me and gave many options as to what made the most financial sense for us. 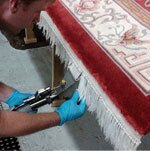 He wanted to make sure the cleaning cost wasn’t going to be equal or greater than what the rug itself cost, which I thoroughly appreciated. 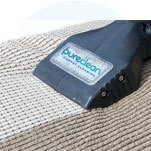 PureClean isn’t just out to make a buck, they really care about their customers and have passion for what they do. I have had incredible experiences with this company each and every time I’ve worked with them. And come to find out, they polish and seal shower tile/ glass, AND can seal my stone counter tops! I can’t wait to have them back out for that, I’m so excited they are continuing to expand on their service options! 🙂 Love Love Love this company. 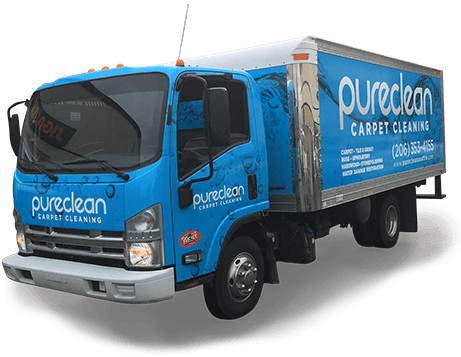 I reached out to Pure Clean to have my carpets cleaned before I moved into my home. They were prompt with scheduling, sent me information about my technician before arrival, and had my carpets cleaned within days of contacting them! 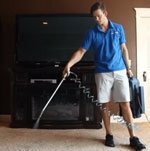 Conner was dispatched to clean our carpets and was quick and efficient. Overall, a very easy process! Andy was great. He was very clear with what my options were and didn’t try to sell me anything I didn’t need. The work was done quick and efficiently. I’m super happy with how the carpets turned out. We bought a house in Mukilteo and wanted to have the hardwood and carpets cleaned before we unpacked. We reached out to Pure Clean and they returned our request in a matter of a few hours. Donovan was our technician and was great. He was professional, thorough, and explained everything needed for the job. I am very happy with the results. 5 stars, recommend! Pure Clean was great. We took advantage of an email special and added area rug cleaning as well. Connor was excellent – he arrived when expected, was thorough in explaining the services and costs, and did a great job cleaning our rugs. Everything was down with care and we couldn’t be happier with the results. They are great! Scheduled an appointment fast. They message you the morning of a picture and details of your technician so you know who to expect. We got Andy – he was great! Helped us move some furniture around and did a great job. And the best part is no harsh chemicals and everything is safe. My baby is ready to learn to start crawling now! Pure Clean is just what the company is. They are always on time, services are amazing. My carpet looks feels and smells clean with no perfume or soapy smells. The cleaning process dries quickly and it stays clean longer.Excellent value. Conner is great. Thanks. The cost was very fair for what I needed and wanted done. 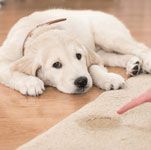 I have fairly new carpets with pet stains that I really needed taken care of. Everything looks beautiful and the best part is no chemical smell!Will definitely use again. 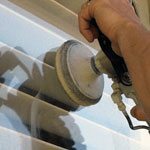 Our second-generation family-owned and–operated company hires and trains only certified professionals to work in your home. Learn more about why our technology and our experts make us the best choice in the Seattle or Snohomish areas. 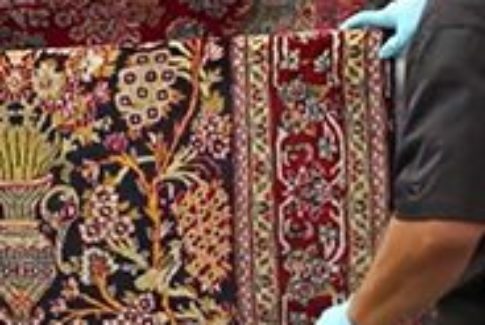 What Do You Know About Cleaning Rugs?